Buckingham Notable: James Wiley Bledsoe | slate river ramblings . . . .
Buckingham County’s Humanity Hall Academy had many distinguished alumni, including Methodist minister James Wiley Bledsoe. The following biography appeared in Sketches and Portraits of the Virginia Conference, Methodist Episcopal Church, South by Rev. John James Lafferty. 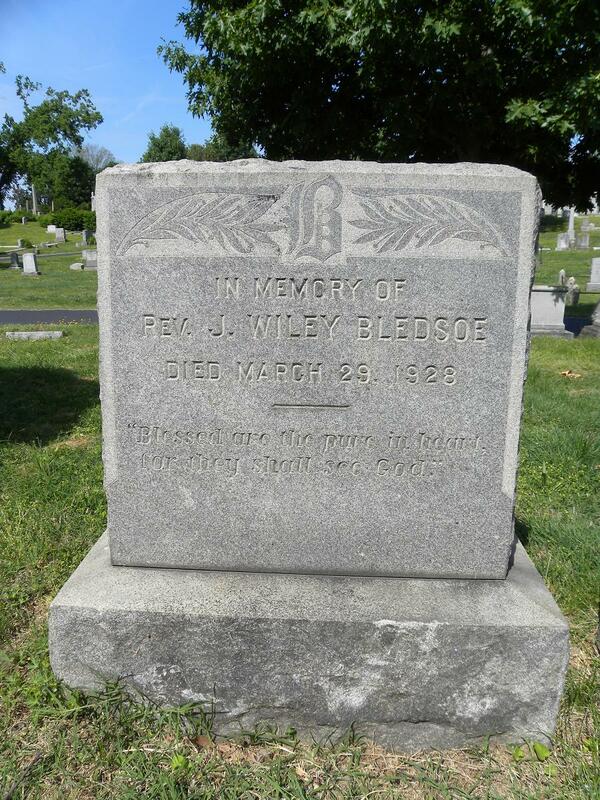 James Wiley Bledsoe was born in Fluvanna county, Virginia, April 6, 1841. He was educated at Humanity Hall Academy, in Buckingham county, and at Emory and Henry College, from which institution he received the degree of Master of Arts. His father was a prominent and successful farmer, holding an official relation to the Methodist Church for a number of years previous to his death. His mother was a daughter of the late Rev. John Goodman, a local Methodist preacher of Fluvanna. She was a devotedly-pious Methodist woman. Under the wholesome training of these intelligent and pious Christian parents, he was led to accept Christ in early life, and joined the Methodist Church. At the beginning of the late war he took an active part in raising an artillery company in his native county, was chosen second officer, and, with the company, left for the field in the early part of the struggle. Mr. Bledsoe’s health was greatly impaired by the exposure and hardships of camp life. He, however, remained connected with the army until the surrender. The war being over, he returned to his home in Fluvanna, and commenced the study of law. He was united in marriage with Miss Fannie D. Anderson, daughter of Mr. James W. Anderson, of Lynchburg, Virginia, a lady of genuine Christian character and a member of the Methodist Church. To learn more about Humanity Hall Academy, its teachers and students, see “At a Place Called Buckingham” – Volume Two. Joanne, I’m still reading Vol I, and very much enjoying it, But would like to comment on the Buckingham Court House fire. Once when my mother and I went to the Buckingham Court House to look up her Hackett/Word family, Malcolm Booker who worked in the Clerks Office, told us how the Court House burned. He said there was going to be a trial and that the evidence was in the court house, thence the fire was started to remove the evidence. To us that seems the most likely reason for the fire. But what a shame, as we are without records to trace our genealogy. What do you think ever became of Rev. Willliam Peasley’s register? What did they do with they registers in those days? Wonder if we could find any of his family for that answer. Nancy, Malcolm Booker’s story of how Buckingham County’s courthouse burned could very well be true. As to Rev. Peasley’s register, it has not surfaced. Given how long it has been since his death, it is likely lost to fire, flood, or the trash pile.